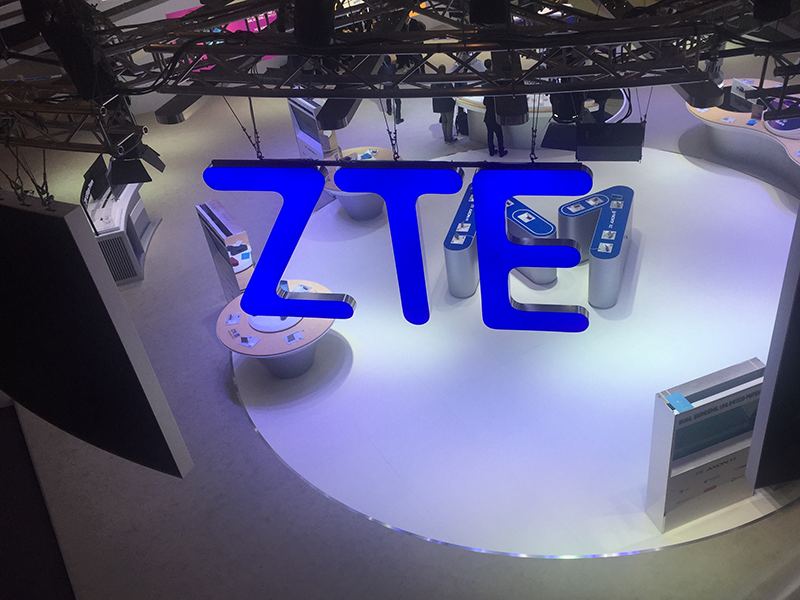 IBM and Vodafone Business are establishing a new venture focused on digital transformation enabled by 5G, Edge and Software Defined Networking. Under the new venture, Vodafone Business customers will have access to IBM's cloud offerings. IBM will provide managed services to Vodafone Business' cloud and hosting unit, in an eight-year engagement valued at approximately $550 million (€480 million). Customers will benefit from IBM's optimisation, automation and cognitive capabilities which help them to run their business effectively in a cloud environment. The venture will co-develop new digital solutions, combining Vodafone's leadership in IoT, 5G and edge computing with IBM's multicloud, industry expertise and professional services. The companies expect to be up an running in the first half of this year. Baidu has developed an edge acceleration computing solution enabled by Xilinx and targetted at edge application products such as smart-video security surveillance solutions, advanced-driver-assistance systems and next-generation robots. The Baidu EdgeBoard is a turn-key solution that can be configured and customized as part of the Baidu Brain AI Hardware Platform initiative. The Baidu Brain AI Hardware Platform is part of the Baidu Brain AI capabilities open platform, encompassing Baidu's open computing services and hardware and software products for edge artificial intelligence (AI) applications. EdgeBoard is based on the Xilinx Zynq UltraScale+ MPSoC, which integrates real-time processors with programmable logic. Huawei completed a test 5G NR (New Radio) using the 2.6 GHz spectrum band in a trial organized by the IMT-2020 (5G) Promotion Group. To date, Huawei officially completed the third phase of China's 5G laboratory and field testing in NSA (Non-Stand Alone) and SA (Stand Alone) scenarios. The most mainstream NR frequency bands, including the 3.5GHz and 4.9GHz, were tested earlier. The most recent 2.6 GHz test was conducted in Huairou 5G test field and CAICT (China Academy of Information and Communications Technology) MTNet (Mobile Communication Trial Simulation Network) Lab using Huawei's latest 5G Massive MIMO 64T64R gNB. For 2T4R 5G terminals, the single-user downlink peak throughput exceeded 1.8 Gbps. Huawei said the successful verification of its 2.6 GHz NR gNB proves that 2.6GHz is a valid choice for operators to deploy a 5G NSA/SA commercial network. It also shows Huawei's strong determination to accelerate the development of 2.6GHz industry together with industry. Telia Carrier activated an additional Point-of-Presence (PoP) at the Equinix HK1 data center in Hong Kong, its second PoP in the city. 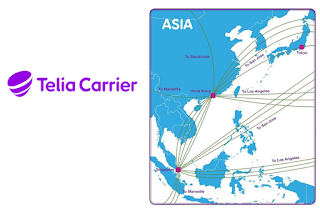 In September, Telia Carrier announced a PoP in Tokyo, Japan. Telia Carrier said its APAC expansion is a continuation of the carrier’s organic growth story. Scalyr, a start-up offering a "blazing-fast" log management solution, appointed Christine Heckart as its new CEO. Steve Newman, founding CEO of Scalyr, will assume the role of chairman and founder to focus on advancing the company’s product vision and technology. Scalyr is log management platform designed for modern development and deployment. Unlike traditional log management tools designed for the legacy data center, Scalyr is built to meet next-generation approaches to software development, including microservices and containers. The company is based in San Mateo, California. Scalyr reports more than 100 percent groth in 2018, adding marquee names such as Cisco, Palo Alto Unified School District, Vanderbilt University, and Worldpay to its customer list. Heckart most recently served as Senior Vice President at Cisco and as Executive Vice President at Brocade. In addition, Heckart has held multiple executive and C-level positions at global technology brands, including NetApp, Microsoft, and Juniper Networks. Heckart serves on the board of directors at Lam Research Corporation and 6sense. Socionext will feature its advanced SoC designs including 112G SerDes, 120+ GS/s ADC/DAC, AI technology, high-performance memory, multi-die packaging and RF/mmWave solutions at DesignCon later this month at the Santa Clara Convention Center. Socionext provides a high-performance SerDes macro with up to 112Gbps per channel for 100G/200G/400G networks. These capabilities are further extended by utilizing the company’s ultra-high-speed ADC & DAC technologies, a key component in coherent and direct detect optical networking SoCs enabling Terabit (Tbps) datacenter interconnect (DCI) solutions for hyperscale cloud operators. ments. Socionext will also showcase advanced “Chip-Package-PCB co-design” methodology developed to help companies quickly and cost-effectively deliver high-quality, high-performance, multi-die packaging and RF/mmWave solutions.